Stay up to date on the latest CTM and industry news. 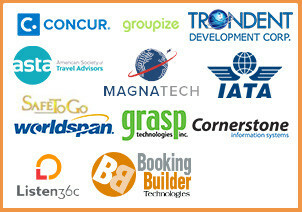 The GBTA Foundation, the education and research arm of the Global Business Travel Association (GBTA), unveiled a study finding an overwhelming majority of organizations – 83 percent — report their travel programs have risk management protocols in place in order to ensure the safety and well-being of their business travelers. It’s clear that travel risk management (TRM) protocols use is on the rise – of the organizations that said they did not have TRM protocols in place, 60 percent said they were planning to adopt within the next two years. Bad weather is creating havoc at O'Hare, and a monitor shows that your flight to LaGuardia is delayed for more than an hour. But you also notice that a flight to Kennedy on the same airline is scheduled to take off on time, even though its scheduled departure is a few minutes after yours. Converge - March 10th, 2014. Duty Bound. Is your business protected?